I bought this book having only a cursory understanding of the subject matter (full disclosure: I am a PhD student in electrochemistry) and I thought that the book did a very good job explaining this strange story without getting too bogged down with details. I personally believe that this should be a must read for all scientists as a lesson on how good people can fall into a hole and become blind to evidence staring them in the face. It also does a great job hammering in the importance of reproducing work and of properly doing controls. I honestly believe I have become a better scientist after reading this story. cold fusion is another alchemist dream for turning lead into gold... in this case violating basic physics to fuse elements at room temperature ...alchemy has enticed smart people by enticing them with dreams of wealth and recognition and this is exactly what Taubes shows in this book...its a recitation of how personal ambition served to lead experimental scientists searching for cold fusion to operate "positive outcome experiments" that were set up without basic controls and served to provide desired results, i.e., bad science. its also a good story about how chemists tried to do physics without understanding what they were doing. well the dream will never die there will always be a desire for gold. 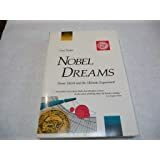 You won't get a memorable account of what happened around the 1989 fake "discovery" of cold fusion from this book. Taubes doesn't even bother to explain what cold fusion really is, why it's significant, and how it differs from regular fusion or fission, for example. Instead, without making clear what's at stake, he launches breathlessly into what he hopes will be an engrossing account of the personalities involved in this folly - for hundreds and hundreds of pages. He might as well be talking about angels dancing on the head of a pin, and adds to the general, erroneous impression that it's easy for "scientists" to fudge their results and pull the wool over an uninformed public's eye. Taubes has done nothing to encourage the lay reader to get more informed about scientific progress. There's almost no science in here that would be in the least comprehensible to even an informed reader. Bad Science Writing would be a better title. I suspect the only people who made it through this book were insiders wanting bitchy details about their colleagues. Very disappointing. 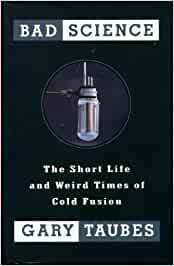 The author does an excellent job in chronicling the saga and travail of cold fusion. The "lessons learned" are applicable to numerous technical fields, particularly where conclusions are drawn far ahead of substantiating evidence and critical peer review. This book is excellent. It describes in amazing detail the events leading up to and following the "Cold Fusion" news conference. It's the story of how two scientists fooled themselves into believing that they were onto something so big that they had to claim credit for it -- fast. And it's the story of how the least qualified researchers quickly "confirmed" Cold Fusion, and how the best qualified researchers found nothing. If you're interested in how science is done, both well and poorly, read this book.